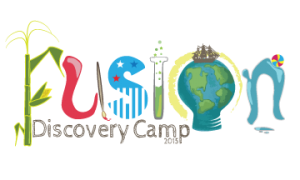 This year Discovery Camp begins on May 29 and runs through August 4. It is designed to be a break from the more structured school-year and be a time for our students to continue to explore and have some serious Summer fun! 2 week session: $210, or $120/week. Camp runs from 9 to noon Monday - Friday. Full day options are available. May 29 - June 2: If your little one needs an extra boost before heading to Kindergarten, then Kinder Camp may be for them! Kinder Camp is a week-long program that will allow your child to brush up on a variety of skills essential for a successful first year in Kindergarten! Week 2: It’s Mystery Incorporated! June 5-9: Love a good mystery? We Fusion Kids do too! And we especially love a mystery that involves Scooby Doo! This week will be all about solving crimes just like the Mystery Inc. gang. Who knows, maybe we will even go for a ride in the Mystery Machine! June 12-16: Grab your bathing suits and your beach towels! Students will spend the day outdoors in various sporting activities. Don’t forget your sunblock! June 19-23: If you love to build, then this week is for you! Fusion Kids will be busily building all week long using legos, blocks, clay, and sticks! We will even be introduced to some of the worlds most famous architects and structures like Gustave Eiffel and the Tower Bridge in London! June 26-30: Throw on your lab coats and your safety goggles! 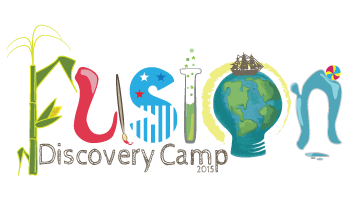 Fusion Kids will conduct lots of CRAZY experiments and learn about what it’s like to be a true scientist! 3-2-1 Contact! July 3-7: Description Coming Soon! July 10-14: The works of Pablo Picasso, William Shakespeare and Beethoven are just a few of the artists Fusion Kids will explore during our Arts theme. They will also have many opportunities to express their own artistic talents through a variety of mediums throughout the week! Week 8: Let’s Go Camping! July 17-21: Let’s pitch a tent and immerse ourselves in nature! This week we will be introduced to the world of camping. Fusion Kids will photograph nature, stargaze, roast marshmallows, tell stories around the campfire and maybe even catch a fish! July 24-28: Summertime is the perfect time for Fusion Kids to throw on their work boots and gloves and learn how to plant, grow and harvest fruits and veggies! We will also learn what happens to food before it lands on our tables by exploring farms and grocery stores. We will taste new food as well as play detective when it comes to those pesky nutrition labels so we know that what we put into our mouths is constantly fueling our bodies and brains! July 31 - August 4: Pack up your suitcases and dust off your passports. Students will discover and learn about cultures, cuisine and fantastic places around the world. * If you are currently enrolled, you may continue to attend with your current schedule and pricing.